This statistic displays the importance of listening activities in the United Kingdom (UK) in 2014. 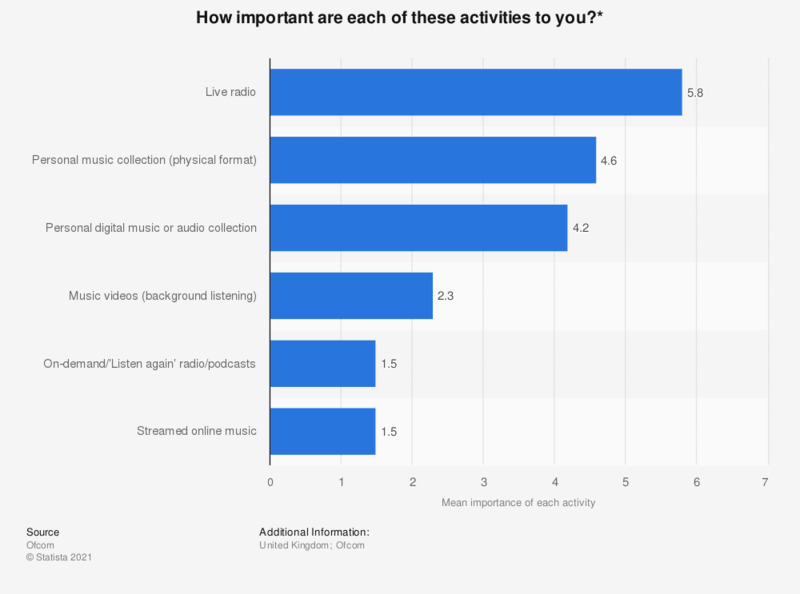 In 2014, live radio was the most important listening activity, rated 5.8 by users, followed by listening to personal music collections. * The original survey question was: "Using a scale from 1 to 10, where 1 means “not at all important” and 10 means “very important”, how important are each of these activities to you?". Question only asked among those who do each activity - mean scores rebased on everyone, with those who don’t do the activity allocated a zero.